It's all about the flex. What the fast fly rod is to a dragster the medium action fly rod is to a fine tuned Porsche. One is designed to go straight, fast on a rail and it does the job well. The other makes the curves and presentation casts well. If a light tippet is to be considered the medium temper rod will be your friend to land that trophy. This is a story about Presentation and a happy medium between the best of both worlds. 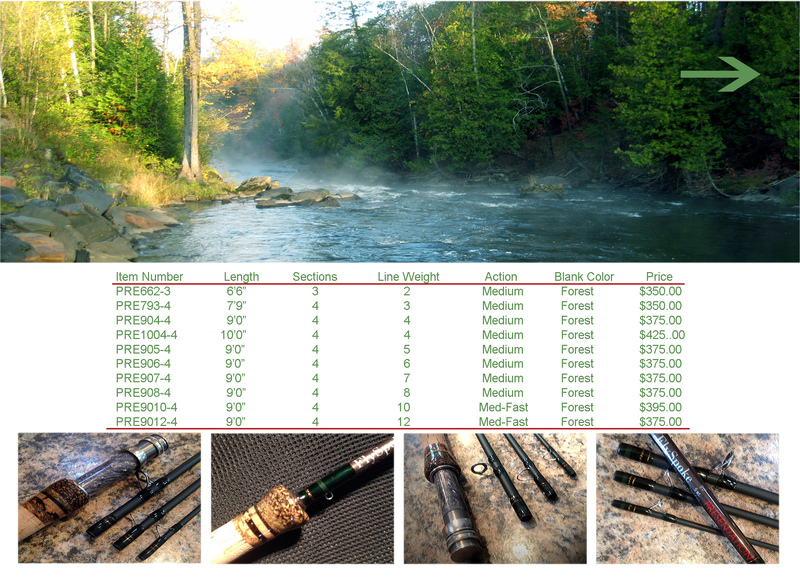 A fly rod with the ability to make beautiful casts and have the forgiving temper to play the fish. Made from high modulus carbon and finished in a smooth matte dark green that is very light and forgiving. These rods are dry fly and soft hackle perfect.